Sign on Now for the 2019 Season. Whitehill FC is a family-friendly, community based Football (soccer) Club in Ipswich, Qld. As a part of the QCSA we play games on Friday nights and Saturdays. We have teams for all age groups, from under6 through to Over30s and Over40s, for boys and girls, women and men. 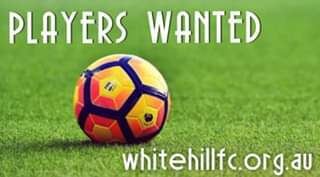 We would love to welcome you and your family into our Whitehill FC community. We seek to make the sport we love and our great Club as accessible as possible. We are one of the cheapest sporting options in the Ipswich region. Ben - Whitehill FC Secretary.